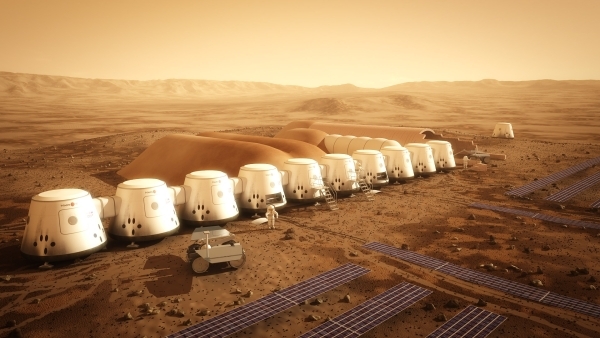 Netherlands based organisation Mars One has begun accepting applications for "Mars colony pioneers:" a one-way ticket to a human settlement on the red planet, which they intend to finish construction of in 2023. Those who are chosen will be put into a selection process, in which both Mars One and viewers of a “global, televised program” will choose the first humans to colonise the planet. Anyone on Earth can apply if they meet the requirements; but of course, these are no ordinary criteria, requiring both peak physical and mental characteristics. Their ideal candidates will have “a deep sense of purpose, willingness to build and maintain healthy relationships, the capacity for self-reflection and ability to trust. They must be resilient, adaptable, curious, creative and resourceful.” All applicants must be over the age of 18 (sorry about that). During the first half of this year a four-round selection process will begin, from accepting your online application to an internationally televised event where you'll complete a series of tasks. At this point, those chosen will be split into teams of four, with at least six teams ready to launch in September 2022. Think of the generic long-pause presenters make in talent show finals, just in front of a giant rocket poised for Mars. “The people of Earth will have a vote which group of four will be the first Earth ambassadors on Mars,” the Mars One website says. Subsequent teams will be sent every two-years. Entrants will be provided with eight years of training before launch, preparing them physically, technically and mentally for the mission. Supplies are to be rocketed to Mars in 2016, including living units which can be assembled by the humans upon arrival. Interested? Thought you would. Be warned though, this is a one-way trip: there's no coming back.